It is located 2 Kms. west from Main Square. It is a handcraft market where we can find wool knittings; basketry; wood, leather, shell, and metal works. It is also a market of sea and farming food. 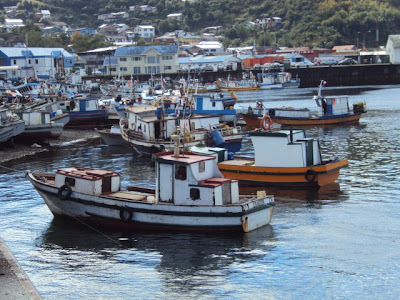 Many ships arrive at this place bringing villagers from different places near Puerto Montt who sell their products. In the kitchens located very near we can taste typical dishes such as "cancatos and curantos". There also stalls where we can buy honey, cheese, butter, fruit syrup, dry and fresh seafood and fish.